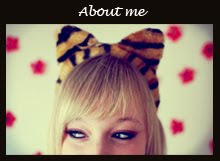 This is the practical component I submitted in fulfilment of my Bachelor of Technology Degree in Fashion. The dissertation study that sparked this fashion range explores the possibility of using street style fashion as a means of rebranding South African identity, and was motivated by the need for a more relevant and contemporary local fashion identity. It explores the benefits of rebranding local identity, and highlights the relationship between national brands and fashion identity. The study aims to represent the South Africa of today, the South Africa that is described as a “potjie” of culture, warm and full of different ingredients and surprises, which has taken centuries to develop its unique and rich flavour (A – Z of South African culture, 2008). The study considered the views and perceptions of a young, high street fashion market who received questionnaires via Facebook. 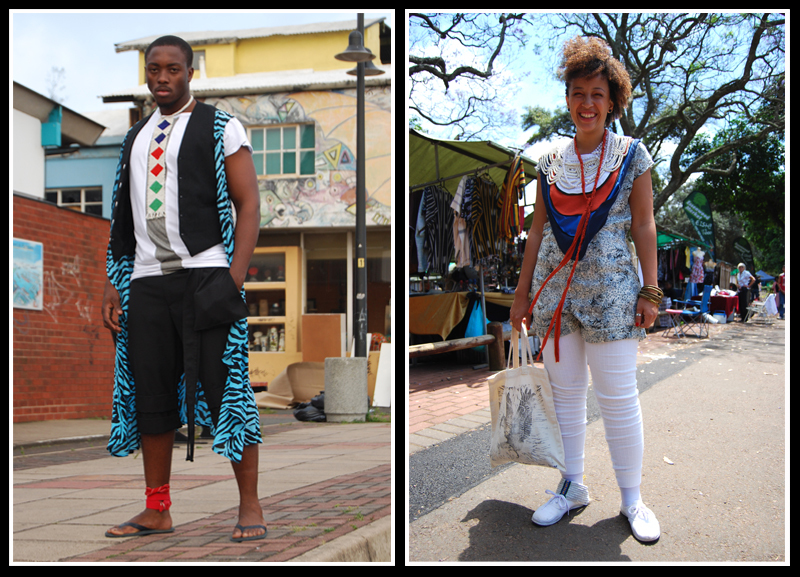 The questionnaire responses revealed the sample’s opinions regarding the value of national rebranding, the phenomenon of street style, and the multi-faceted South African fashion identity. Both the empirical investigation and the reviewed literature revealed South Africa as a progressive nation in terms of the potential of the South African fashion industry and the development of a unique country brand. 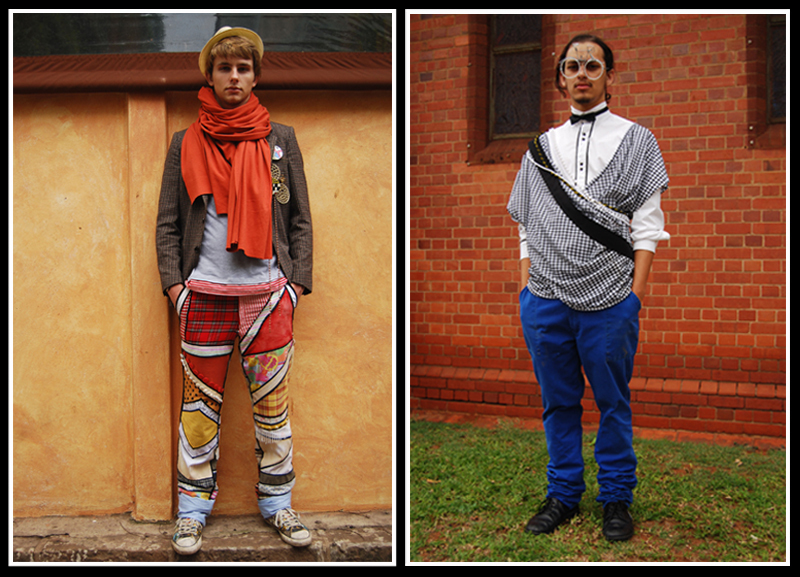 The practical component of this study involved the combination of traditional South African clothing characteristics with those of modern street style, to create a uniquely South African, high street fashion range. 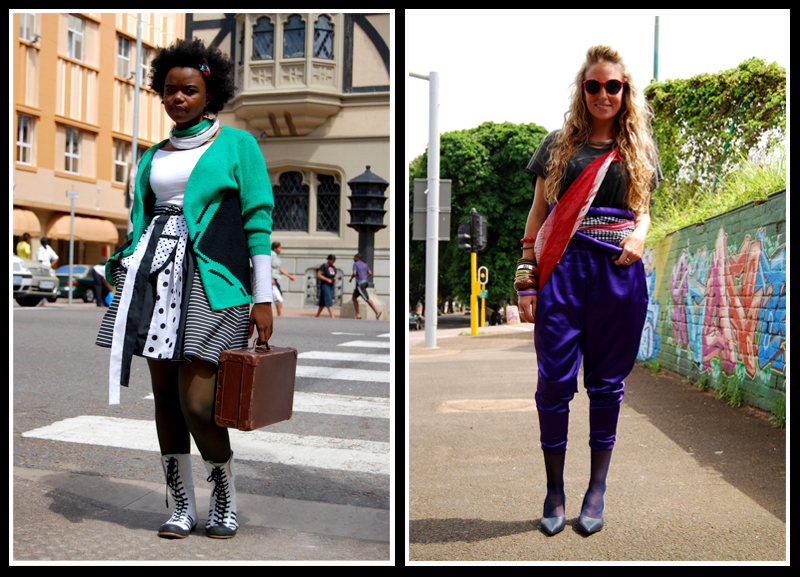 In hopes of achieving a quirky, street style feel, I mixed self-designed and hand-made garments with second hand clothing. This fashion range hopes to encourage a uniquely South African design aesthetic among local designers, and a motivation for a much needed patriotic boost on behalf of the South African fashion consumer.